Starring the voices of Scott Menville, Hynden Walch, Greg Cipes, Tara Strong, Khary Payton. Various directors. (2013, 289 min). Cartoon Network’s second shot at a series based on DC comics’ Teen Titans is cut from a different cloth, but manages to be far more entertaining. The original show, which ran from 2003 to 2006, was actually kind of a breath of fresh air, differing from traditional DC shows with its anime-inspired style and increased emphasis on humor. As someone who doesn’t read comic books, I don’t know if the show remained faithful to its origins, but it made enjoyable enough television. 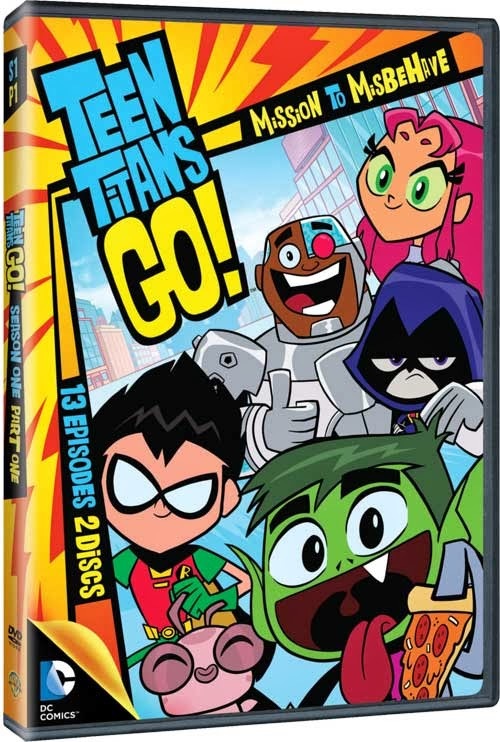 While it retains the five main characters (Raven, Robin, Cyborg, Beast Boy & Starfire) and voice actors, Teen Titans Go! is a pretty radical departure. It eschews the original show’s look for an animation style similar to what you see on Disney Channel. It’s also played strictly for laughs, with short episodes focusing on the daily lives of these superheroes (and roommates) when they aren’t busy fighting evil. This is similar to how my mom drives. 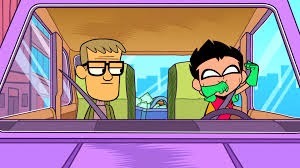 Though the focus is on irreverent and slapstick humor (much of which is very funny), Teen Titans Go! doesn’t totally ignore its origins. The 26 episodes in this two disc set (half of its first season) are loaded with Easter Eggs, in-jokes and DC comic references. And while the characters are exaggerated versions of their former selves, they still have essentially the same personalities (albeit a bit less mature). The forever-sullen Raven is especially amusing in this context. Despite its new look and tone, one shouldn’t dismiss Teen Titans Go! as just another cartoon product aimed at the kiddie crowd. It’s a clever, well written homage to its comic book origins, yet irreverent and funny enough to amuse anyone who’s never heard of Teen Titans. It’s currently one of Cartoon Network’s best shows, ranking right up there with the flaky genius of Adventure Time and Regular Show.